Upcycled copper bell with twisted sari hanging loop. 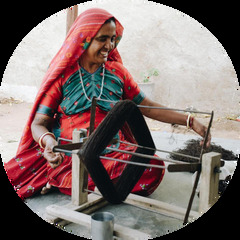 Due to the upcycled nature of this product, expect variation in colors and patterns of the sari rope. Bell is 2.75 inches.